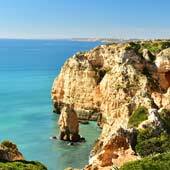 Lagos is situated on the beautiful western Algarve, and is a fantastic destination for a beach holiday. This region is blessed with a stunning coastline of towering cliffs, hidden coves and vast expanses of pristine sands. These glorious beaches are also varied; there are sheltered beaches for families, relaxed beaches for sunbathing, rugged beaches for exploring and windswept beaches for surfing. 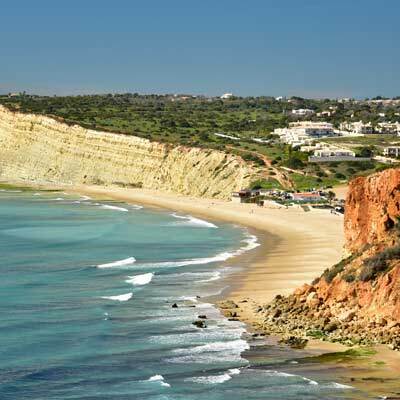 Within walking distance of the historic centre of Lagos are four wonderful beaches (Meia Praia, Praia Dona Ana, Praia do Camilo and Praia da Batata), and it is only a short drive or bus ride, to the glorious beaches at Praia da Luz, Burgau or Porto de Mos. 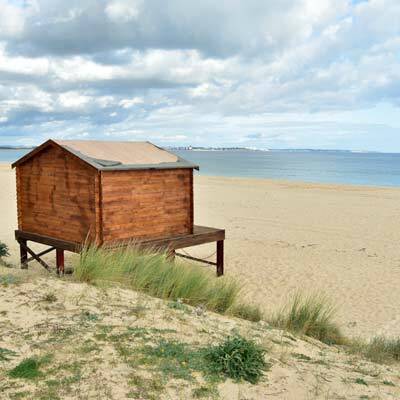 This article will provide an introduction to the beaches of the Lagos region. Meia Praia (GPS: 37.10740, -8.66334) – An endless expanse of golden sands, with powerful surfing waves and a beautiful natural setting. 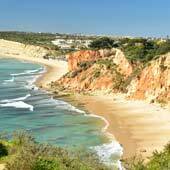 Praia don Ana (GPS: 37.09157, -8.66913) – One the finest beaches of the Algarve; a picturesque and sheltered beach, which is surrounded by golden coloured cliffs. 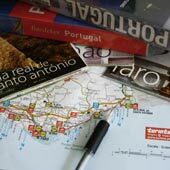 Praia de Porto de Mos (GPS: 37.08534, -8.68815) –A large sandy beach, which is the quieter alternative to the Meia Praia. Praia do Camilo (GPS: 37.08737, -8.66837) – A small and secluded beach nestled between towering cliffs. Praia da Batata (GPS: 37.09757, -8.66802) – The closest sandy beach to Lagos, pretty and sheltered but will be crowded in the summer. The following section will provide more detail for the beaches which are close to Lagos. The Meia Praia is the largest beach within the Lagos region, and extends for almost 5km, from the mouth of the Lagos estuary around the bay to the Odiáxere river. Meia Praia is a wonderful beach, with soft sands, clean sea waters and a pristine setting, surrounded by low rise sand dunes. This is the beach where you will probably spend the majority of your beach time. The western side of the beach is sheltered and suitable for families, while on blustery days the Meia Praia is a favourite location for kite surfers and surfers. 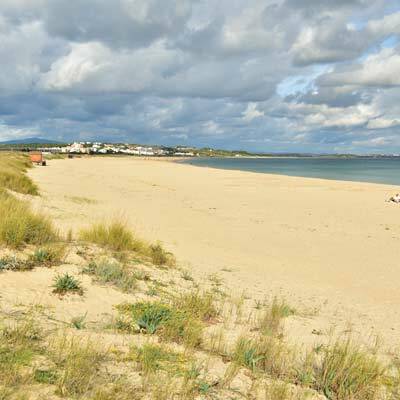 The sandy bay on which the Meia Praia is situated continues for 8.5km all the way to Alvor, but this stretch of sand is divided into two by the Odiáxere river; this dividing also gives the Meia Praia its name (half beach). 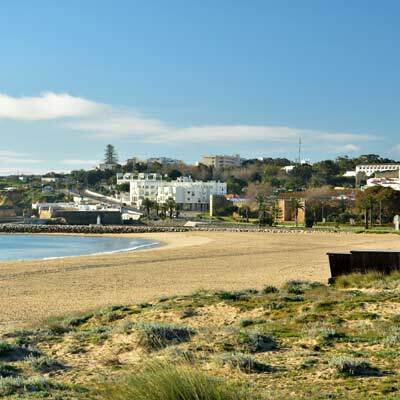 The Praia de Porto de Mós is the second large sandy beach of the Lagos region, and is to the south-western side of the city. The Porto de Mós is a beautiful sandy beach, which is set between the Ponta da Piedade headland and the towering cliffs of Praia de Luz. The beach has a 1.1km shoreline and, under the right weather conditions, the beach is popular for surfing with powerful waves. 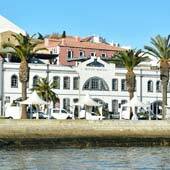 The Porto de Mós beach is 3.5km from central Lagos, and is on the edge of the Porto de Mós district, an affluent area filled with luxurious villas and boutique hotels. 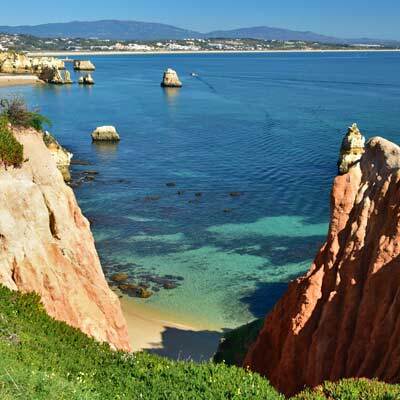 Inside info: The Linha 2 bus is useful for a beach holiday, as it connects the city to the Meia Praia, the Praia de Porto de Mós and the Praia da Dona Ana. .
Insider tip: There is a scenic and challenging coastal hiking path from Porto de Mos to Praia de Luz. . 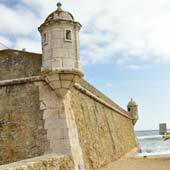 The Praia da Batata is the closest beach to the historic centre of Lagos, and is just to the south of the Forte Ponta da Bandeira. 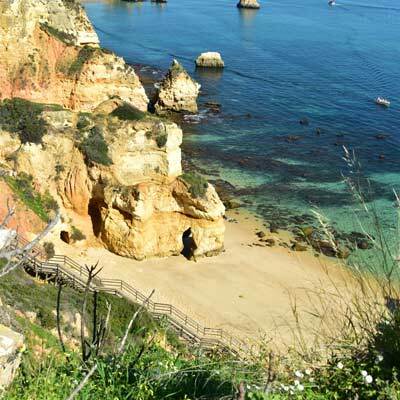 The Praia da Batata is another attractive beach and is surrounded by the golden coloured cliffs of the Ponta da Piedade headland. The cliffs shelter the beach from the powerful waves and sea breezes, and this peaceful natural setting makes the Praia da Batata ideal for families and swimming. 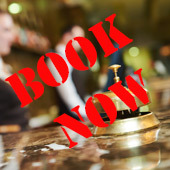 The only downside to the beach, is the close proximity to the city, which means that it can be very busy in the summer. The Praia Dona Ana beach is one of the most visually stunning beaches of the Algarve coastline. High limestone cliffs surround the beach and calm turquoise sea waters lap the golden sands. The Praia Dona Ana is a wonderful location for a relaxing day on the beach, and is equally suited for families. 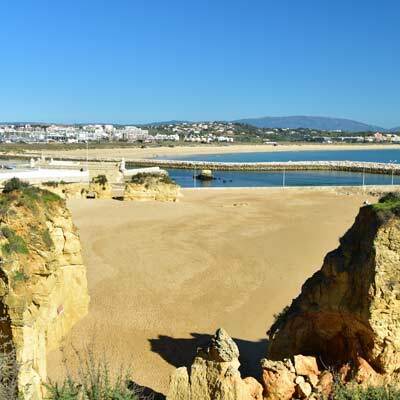 From central Lagos, it is a 30-minute walk to the Praia Dona Ana but the beach is served but the “Linha 2” bus route and a mini-road train. Inside information: In 2016 the beach was greatly extended (much to the disgust of locals) by adding dredged sand from the seabed. This expansion covered many of the submerged rocks that were fun to snorkel and swim through. The Praia do Camilo is very similar to the Praia Dona Ana, before the expansion of the beach. 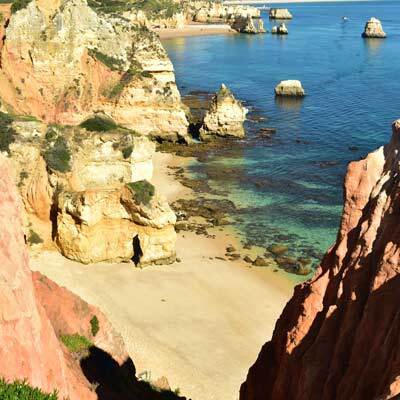 The beach is idyllic, set amidst the golden cliffs of the Ponta da Piedade headland, while the sands are soft and golden, and the sea waters calm and crystal-clear. There is no public transport to Camilo beach, and it is a 40minute walk from central Lagos. 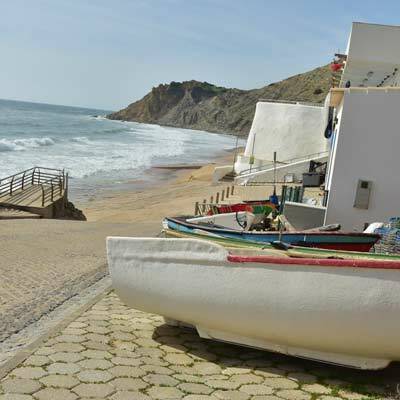 Inside tip: At the top of the cliffs is the popular seafood restaurant “O Camilo”. 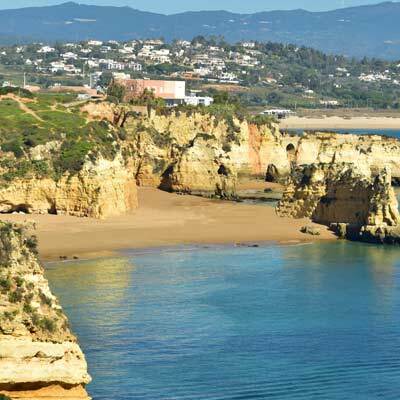 The Praia do Pinhão is a small scenic beach, part way between the Praia Dona Ana and Praia da Batata. Very pretty but very small…..
Beach weather in southern Portugal is from May through to September but there may be pleasant weather both earlier or later. The summer season (July and August) is the busiest time of the year and during this season all of Lagos’ beaches will be crowded. One aspect that surprises visitors new to the Algarve is the cold sea temperatures. This is due to the sea waters coming from the Atlantic Ocean and not the comparatively warmer waters of the Mediterranean. 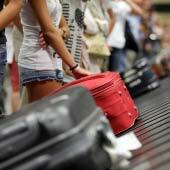 On most beaches deckchairs and parasols can be hired for approximately €15 per day. 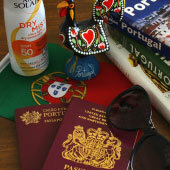 Sunscreen and sun tan lotion are very expensive in Portugal it is always advisable to bring your own from your home country.